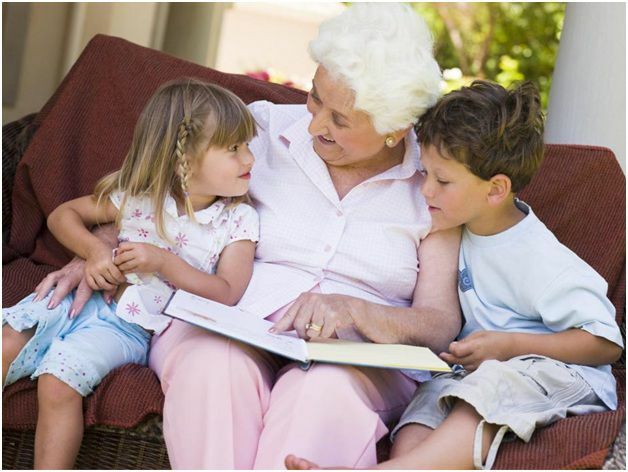 It is really important for children to bond with their grandparents by communicating with them on a regular basis. This instills in them a sense of care and love for elderly people from an early age. This way, when they grow up they would have learned to respect, care and love the elder people. For the seniors, it’s a great way to spend time with their little family members. Instill a love of books in the children by reading story books to them. Take turns in reading books i.e. if there is more than one child, then make each child read. Alternatively, you can also read the children stories. You can also tell them stories of your own childhood and life’s other interesting events. This is the age when kids absorb everything and have a wild imagination. They just love all kinds of stories and you can never go wrong with this one. You can also solve puzzles with them for a little more challenging experience. You can watch movies with your grandchildren that they can enjoy. Children movies are always very entertaining so none of the parties will end up falling asleep. Get some arts and crafts supplies such as coloring books, crayons, play-doh and others. You and your grandkids can spend time doing these fun things together. The kids can draw pictures and give them to their grandparents. You would love to post their hand drawn pictures on the fridge or a wall. You can also spend your day with the kids by going to places that you both can enjoy like parks, movies, museums or carnivals. But also ensure that it does not take a toll on your or your loved one’s health. You can invite the kids over for your special cooked food or baked goodies. Like a warm pecan/ apple pie, cookies (which you can make them decorate), feed them your special pasta or any other dish that has been passed down in your family. There is just something special about grandma’s cooked food.